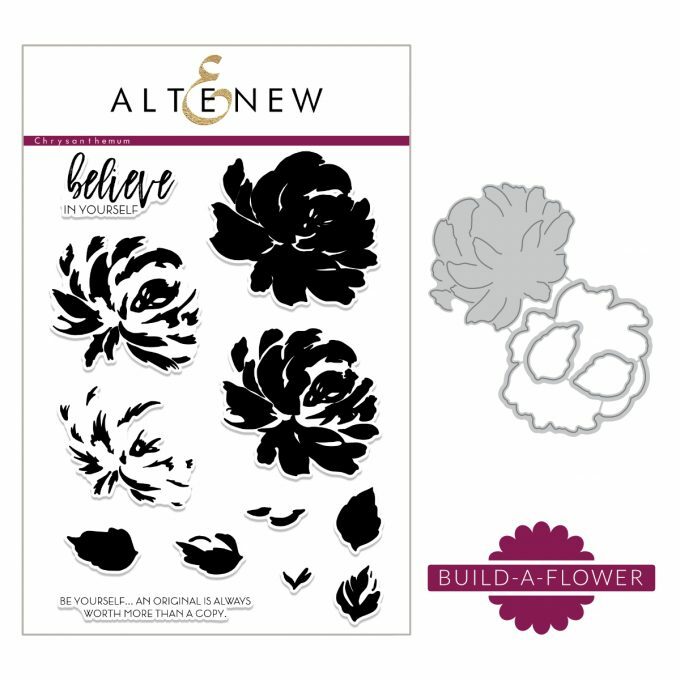 Today is Altenew Build-A-Flower product of the month mini-release. This month it’s Build-A-Flower: Chrysanthemum. 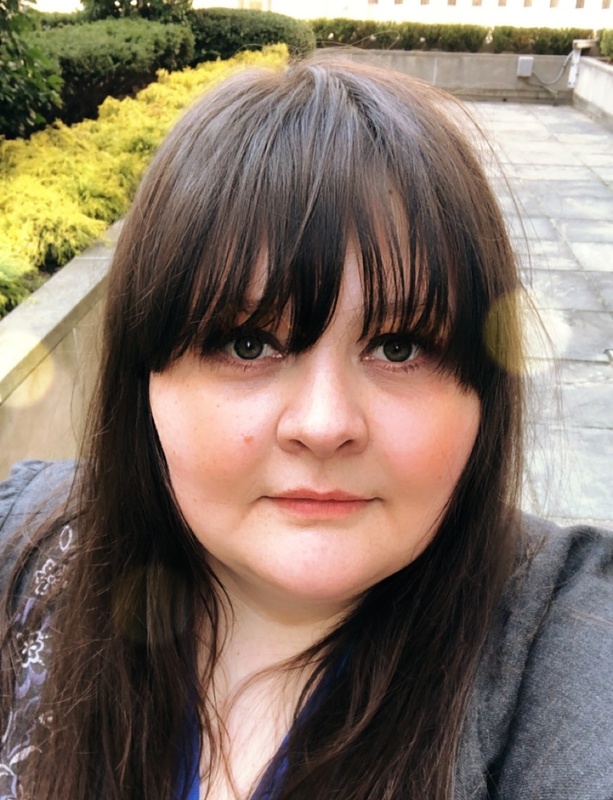 I had so much fun playing with this product! The stamps a very beautiful, they give this sort of painted look. 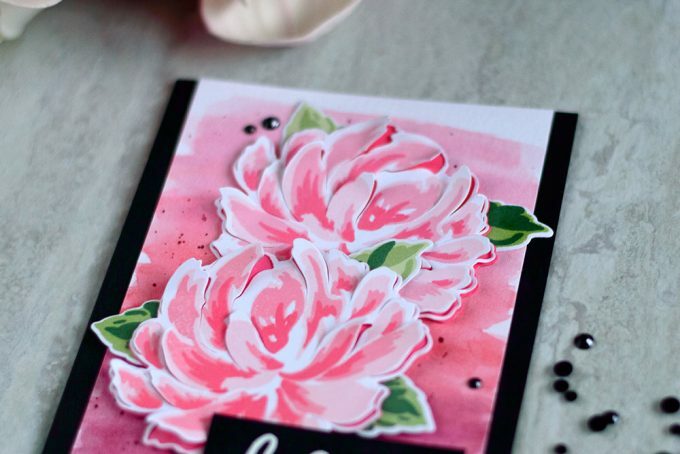 I started by stamping flowers using Coral Berry, Cotton Candy and Frosty Pink inks. And I stamped leaves using Evergreen, Forest Glades and Frayed Leaf. All were stamped onto a Solar White Cardstock. Leaves then were die-cut using matching dies from the set. Then I blended Coral Berry onto Solar White Cardstock and die-cut a couple of flower shapes out of this colored cardstock. I die-cut stamped flowers using the same dies. And then die-cut them one more time using “petals” die, which partially cut petals. I then added small clear foam pieces in the back side of each petal and applied liquid adhesive along the border and in those parts of flowers I wanted to lay flat. Then I placed stamped flower onto the “background” die-cuts (made out of colored with ink cardstock). Creating a dimensional flowers, with petals sticking up and solid pink background underneath. I created a simple gradient background onto a watercolor panel using Altenew watercolors (to be released this Spring). I choose three shades of pink and added several strokes of each going from darker (bottom) to lighter(top). After my background dried out I added several dark pink splatters. Next I made a floral cluster using all flowers and leaves and adhered it onto the panel. I white embossed a sentiment onto a Jet Black Cardstock piece using Pure White Embossing Powder and foam mounted it onto the panel. Which I then adhered onto a black card base. Lastly I added several black crystals, to finish off the card. To celebrate this release, Altenew is giving away a $30 gift certificate to six lucky winners! Please leave a comment on the Altenew Card Blog and/or Altenew Scrapbook Blog for a chance to win. 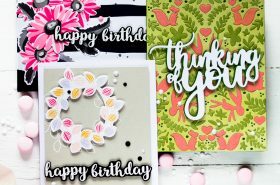 Three winners will be announced on the Card Blog, and other three winners will be announced on the Scrapbook Blog on 3/9/2018. I will also randomly choose a winner from comments left on this post and the prize will be $20 gift certificate to Altenew online store. Please leave a comment on this post by 3/07/2018 for a chance to win. I will announce the winner here on this post on 03/08/2018 as well as on the winners page. The winner of $20 Gift Certificate is Annalisa. 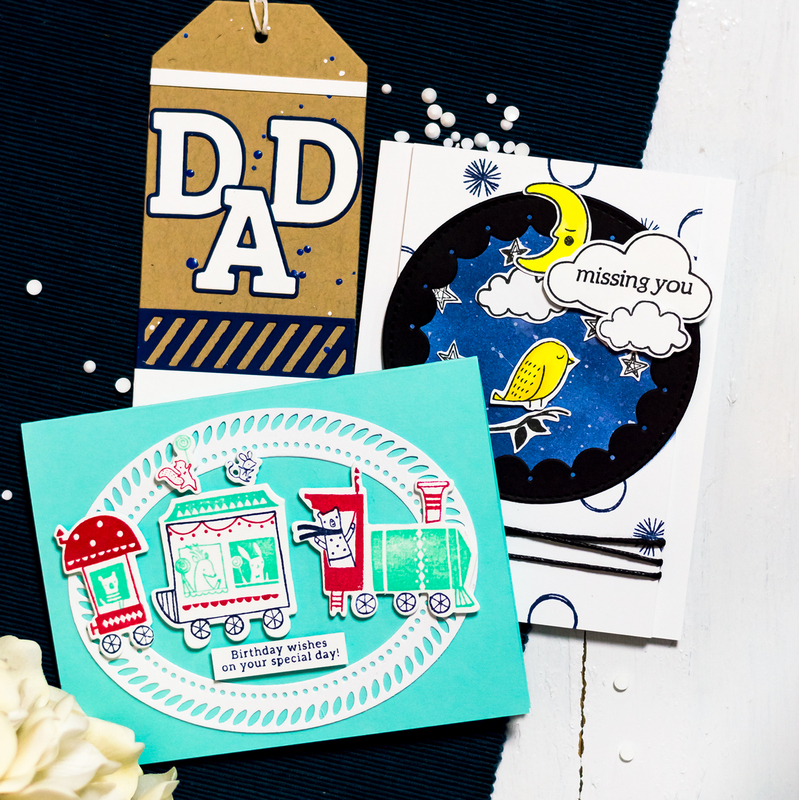 Love your beautiful card. Pink is one of my favorites. A most beautiful card and flower! Love pink carnations! These are just lovely, Svitlana! Lovely design and lovely pinks. 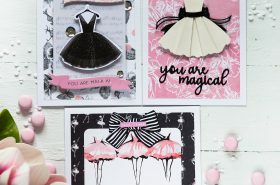 I love your card.. so pretty and cheerful.. love these pinks over the while and black. You definitely nailed it with the watercolor wash as a background. Simply lovely. I love the pink combinations you’ve used and this set has lots of possibilities! 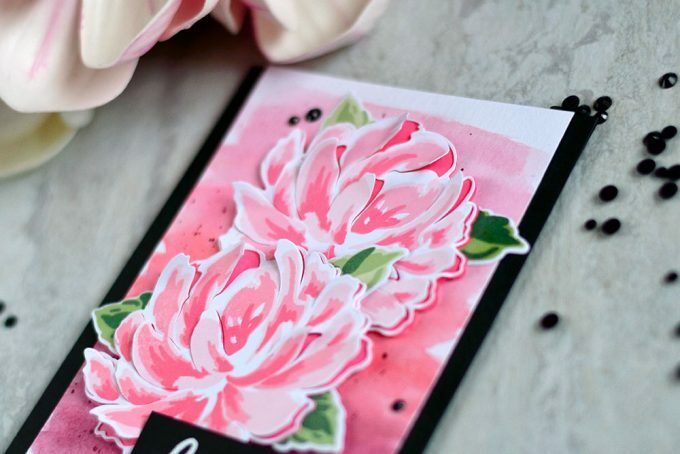 Beautiful card, I love the shade of pink! The black and pink combo are just stunning! I am loving this flower and die set, I just purchased it this morning. Gorgeous card. Love, love, love the color combination. Thanks for sharing. Oh WOW! 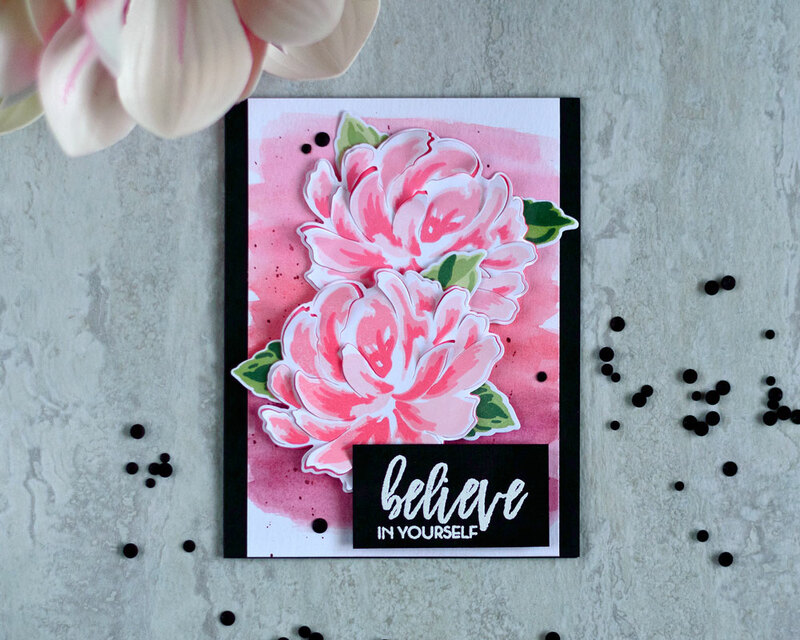 Love the watercoloured background, and that flower with that die is amazing! With those added layers you put in. stunning! Hi, Beautiful job on this flower, I was just over on the Altenew website this morning for a few hours looking at the Build a Flowers and the various flowers, it was so funny, as I scrolled and looked at the examples of pictures on each flower I looked at I could ALWAYS pick yours out right away without even looking at the name below, you have such an ELEGANT and BEAUTIFUL style that u can pick you out anywhere, or maybe I just visit your blog too much, lol, I just have learned a lot from your blog and I appreciate that, Thanks. p.s. I picked the Spring Daisy stamp to purchase. Tracey, you are so sweet! Oh wow! This is another amazing Build-a-flower set. 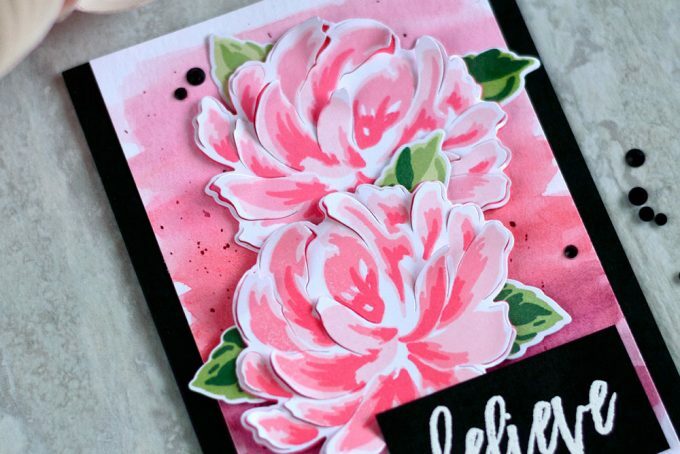 Your card is stunning and I love the way the die cuts the petals so that they can have dimension. Another one for my wish list! You always come up with the most beautiful ideas! So pretty in pink. I like the dimension. 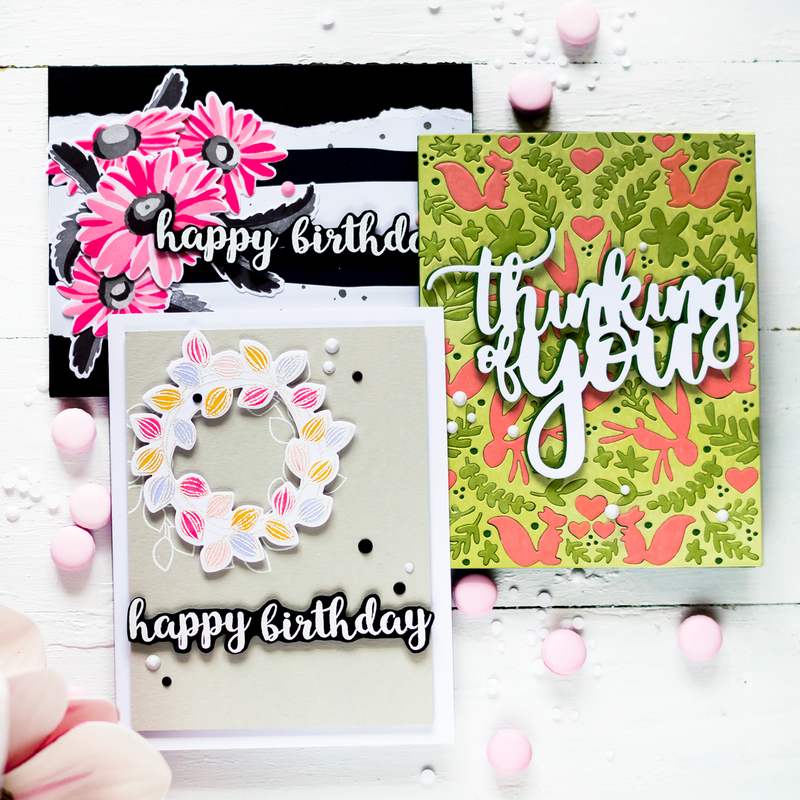 Such pretty flowers, I LOVE the dimension in this set and you gorgeous bold card! What a great background and color arrangement for this card. Just when I thought I saw the best card with this set I see another stunner!!! So beautiful and vibrant. Love the colors. I love your cards! 🙂 So pretty! So pretty and feminine in pink. Love, love, love the dimensions! 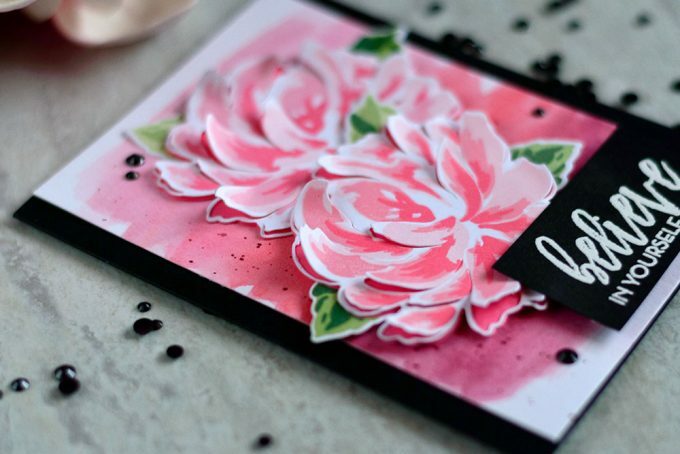 Such a pretty card – love the Chrysanthemum set. Your card is beautiful! I love the colors of your blooms. Amazing card! 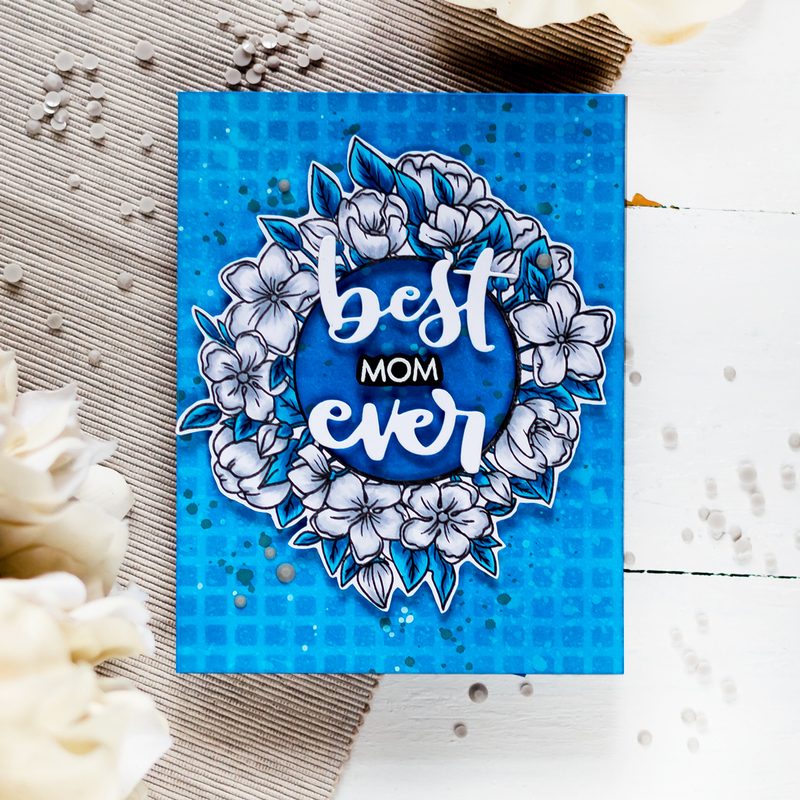 Love the added dimension the die adds to the flower, and your gorgeous colors! Wow! Love the way you built up the layers of the Chrysanthemums. It adds vsuch depth to your beautiful card. Loving your background and your flowers are divine! TFS! Wow, gorgeous pink chrysanthemums! 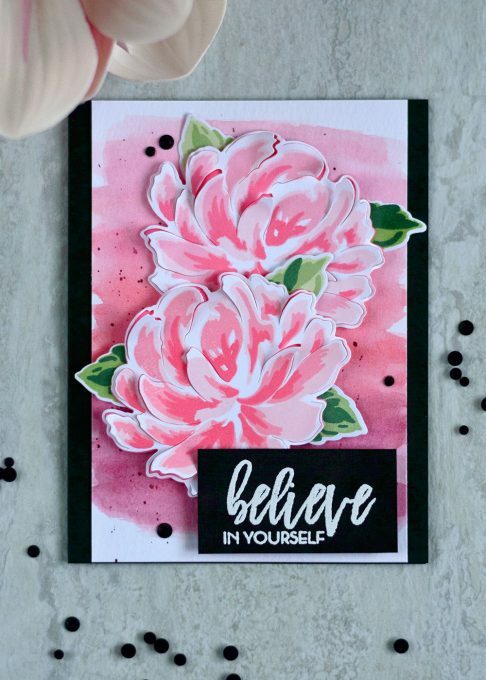 I love the die cut layers and added dimension as well as the pink cardstock flower die cuts underneath, so clever and very striking. Beautiful pinks. Love the cuts. So pretty. 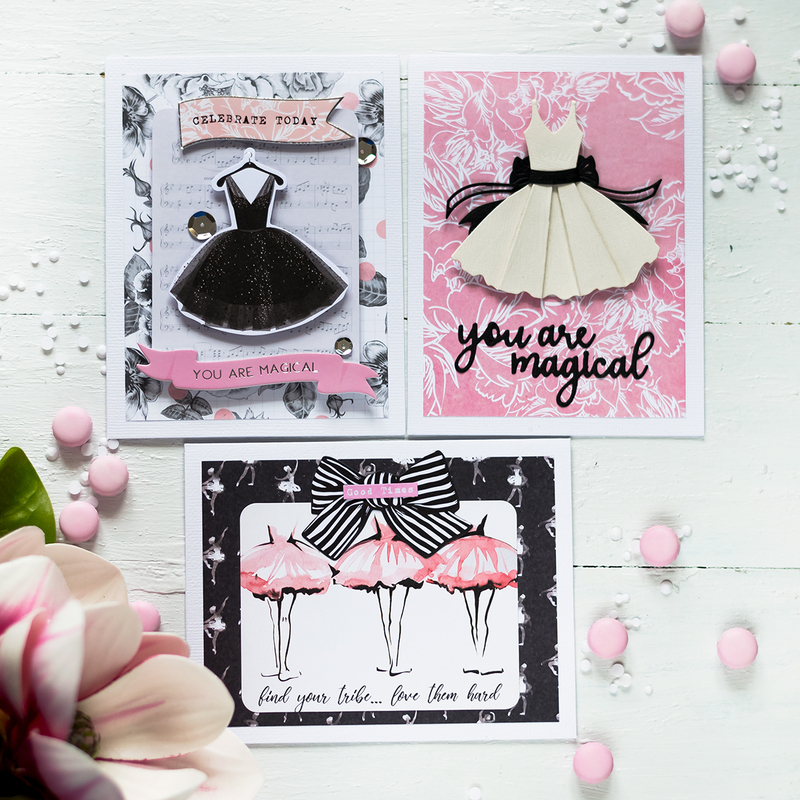 I love the black to offset the pinks of the card. And the clear foam tape is so smart for this particular flower. I really, really like how that looks. You don’t think that the foam tape is that noticeable until it’s actually not noticeable! 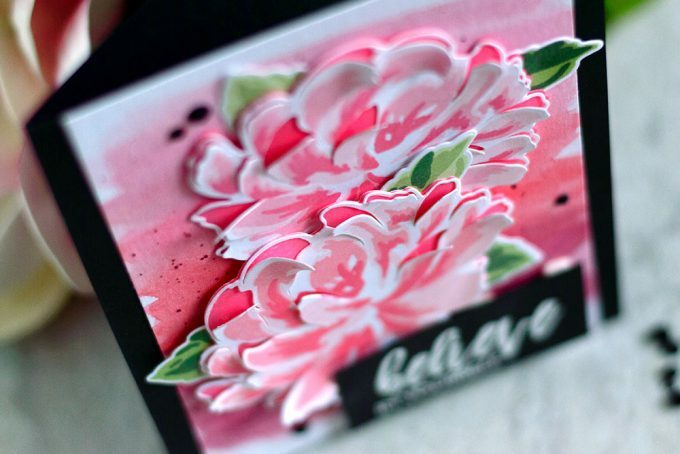 Thanks so much for sharing this gorgeous card with us and participating in this bloghop! Breathtakingly beautiful card! Love the dimension you’ve added by using the foam tape. It seems ade for this release! Thank you for sharing your creative beauty with us. Beautiful 3D effect achieved on this card. Thanks for the inspiration. Absolutely beautiful!!!! Love, Love, Love it!